Cloud computing services have become increasingly popular among companies of all types and sizes. The system offers newer and more efficient ways of storing and saving their business data. Cloud computing is a better way of storing and accessing data and services instead of using the hard drive or server. There are many cloud computing companies offering their services and that’s why choosing the right service can prove to be a challenge. The decision to choose a cloud service provider should be done with greater diligence. Choosing the right cloud computing service can help you enjoy the whole range of benefits associated with this powerful technology. Has the company been offering service for many years? Is the service scalable and flexible? Will the services be hosted in secure environments? Do they have the necessary licenses, certifications and accreditations? Are their services and features backed by SLA? How good is the support they offer? How competitive is their pricing? Security should obviously be one of the key considerations when it comes to storing the critical data of your company in the cloud. 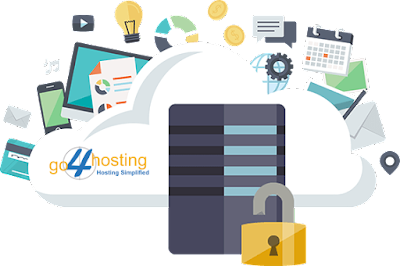 The right cloud computing provider is one with standard as well as advanced security measures in place and updated regularly. The common security measures are firewalls, multi-level authentication, antivirus systems and detection tools, data encryption systems and other mandatory audits. Top cloud computing companies will offer the best data center facilities and high speed servers, located at strategic locations. Here, your data will be stored securely in a highly advanced environment with little chance of data being accessed by unauthorized persons. Flexibility must be a key requisite for choosing cloud computing service. Different business environments require different workloads and varied configurations. The cloud provider you have shortlisted should offer a range of options related to performance and resiliency. This will enable users to choose and pay for the features they use and nothing more. Flexible cloud computing services can help save money. SLA or Service Level Agreement is a common feature of many top ranked cloud computing companies. However, it is important that you read the agreement thoroughly or get it analyzed by an expert to ensure that there are no loopholes. Be sure to read the fine print as well. The SLAs should cover the common risks associated with cloud hosting technology and reduce your level of liabilities. Getting the best SLA for your business needs can help you improve performance levels without having to worry about risks and costs. How Beneficial is Go4hosting Managed Server Hosting?